If you and I were meeting for coffee, the first thing I would do is order a chai tea latte because I don't like coffee. Then we'd sit down, and I'd tell you that my new job is going great. I would say I can't believe that I actually have a job I like, where I enjoy being there. The people are so nice, and I'm really having fun. My drives to work and back really aren't so bad because for the past two months I've been listening to The Help on audiobook. Sometimes I don't even want to get out the car at the end of the drive because the book's at an exciting moment. Then we'd take a sip of our drinks, and I'd ask you how your job is going, because talking with a friend means not only talking about yourself the whole time. If you and I were meeting for coffee, I'd tell you that I've been having so much fun wrapping Christmas presents. My small living room is filled in what seems like every corner with cellophane and tissue paper and bags and ribbons. I love finding the perfect gift for someone. I'd really almost rather spend money buying a gift for someone else than I would for myself. Gifts are my love language, and as much as I appreciate and understand the people who talk about the sad materialism of Christmas, I love the giving and receiving of gifts as a way to show my appreciation and affection for someone. This is one of the few times I have little concern for a budget. 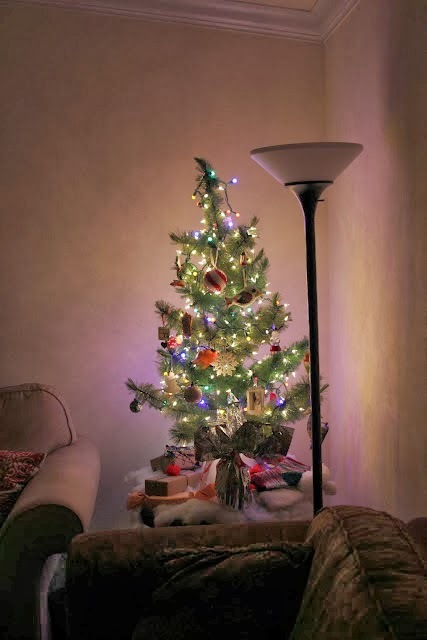 Then I'd tell you about our tiny fake tree that my grandpa gave me when I moved to Oklahoma five years ago and how much I love it and the way it leans to the left. Always to the left. If you and I were meeting for coffee, I'd tell you that I've been missing my friends. Good, long talks with girls I've been friends with for years. Girls I've been friends with since high school, since college. Girls I don't even need to talk to every day, but when we see each other, we jump right in without missing a beat. I think maybe that's the thing I hate the most about growing up. Your best friends are no longer a short drive or even a walk down the hallway away---they're across the country, even across the world. Then I'd tell you that I'm so glad we're meeting for coffee, because it's nice to have a friend to talk to. And then I'd ask you how you're doing, what you're missing, what you're loving, if there's anything I can be praying for you about. And we'd just sit and talk. No phones out. No expectations. What would you tell me if we went on a coffee date? I love this post. And even though I do LOVE coffee, I have been hooked on chai tea for months now. lol. I can only have a tall (because of watching my caffeine intake), but I would enjoy every sip. I am so NOT patient :) But I'm excited for you! Isn't chai tea the best? I love this. 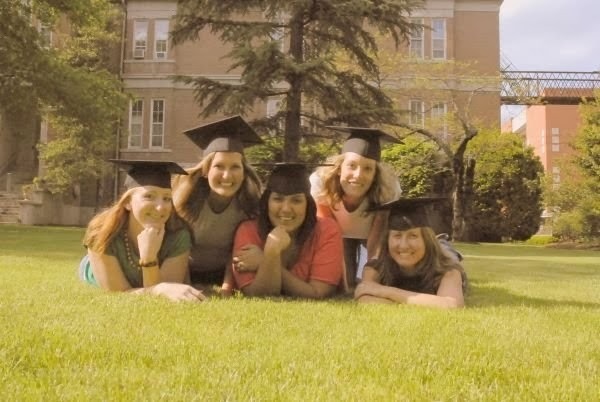 I miss my friends from college too, some of whom I haven't gotten to see since my wedding 2.5 years ago. And I would order peppermint hot chocolate, because I don't like coffee either. Chai latte, mmmmMMMMmmmm! It's like Christmas in a cup :) I would have to join you in ordering the same only make mine dirty (that's with espresso). Gift giving is also the way I speak love and it has probably been THE most challenging aspect of not having a job…which would provide money to spend on those I love. I have made some gifts and am proud of what I have done with what I had to work with. But I agree, you don't have to be caught up in materialism to do gift giving right. I mean the whole point of Christmas is about the biggest gift there ever was, right? So, we mock that joy and selflessness in our giving. I'm so, so happy to know you're happy at your new job. And I have my fingers crossed that the same blessing will happen to me soon. I would say it's same old, same old with the job hunt, but that I'm proud of the crafting and blogging I have done these past few months. I feel lucky that I have had the middle of the day to do my runs or I probably would have fallen off the wagon. I feel very blessed to have found this new friendship with you during this period of my life. With no real way to connect to people in this new town since I have no workplace or funds to join any other organized groups, the inter webs have been my social canvas. I am in love with this post! I feel like I just had a coffee date with you! If you and I were meeting for coffee we'd probably talk for hours! That is so great you love your job so much. I love mine, too! The people you work with can truly make it, or break it. Also, our guest bedroom is overflowing with wrapping paper, ribbons, stamps, water color paint (for cards). It's driving my husband crazy! PS, I love your tree! So sweet and sentimental. And this is why we are friends! Chai drinkers unite!!! I wish we lived closer. It would be so nice to have a chai date. Love you girl! 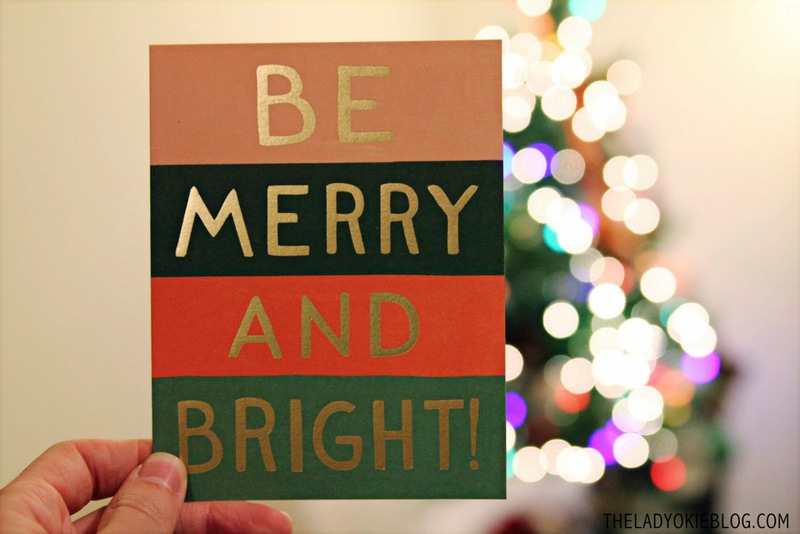 Enjoy the Christmas season. I love chai, but I've gotta have some more caffeine so I get it with a shot of espresso. Our Christmas tree leans to the left too. But I think it's just because I didn't put it together correctly. Aw, I love this. Makes me wish I really did live around the corner so we really could me more coffee. And I'd get a cappuccino. I'd tell you that my job is ok, my love life is not so great, but that I've had some opportunities recently that make me pretty excited about where my life could be headed. I'd tell you how my nephews light up my world, and that the youngest loves to play with my long hair, that it's a soothing mechanism for him (just as I twirl my own hair as a soothing mechanism). I'd tell you that I'm the same way about gifting- I just want to be able to give without worrying about a budget. And I'd thank you for asking if there's anything you could pray for me about, because that's something I never hear in my life. And then I'd thank you for being an awesome friend, and wish you a very Merry Christmas. Ah this is exactly what coffee meet ups are for! I would talk exactly about what you'd talk about. and I miss my close girlfriends too. ah--- love this!! I would tell you how my hearts splits in two when I must make the decisions between chai and coffee......because in my world they are are both welcome. if we met for coffee I'd ask if I could whip out my phone for just 3 seconds to take a photo of us together.....because life's little moments need to be preserved. I totally want to meet you for coffee! You are an amazing friend... Or at least are really good at making yourself sound like one :) I would tell you A LOT! Maybe you could come to NZ and we could meet up one day? Know how you feel about friends, seems like since most of them have graduated and gotten jobs (except for me - insert really sad face) we never have time to hang out anymore. We planned a Christmas party yesterday and no one could come for various reasons - which actually worked out because I was sick, but still made me kind of sad! i've been missing my friends too! dang it. well, first i'd ask you why you don't like coffee. but that's okay. and then i'll tell you that one time when i was almost died and why paul walker's death sadden me. and then i'll tell you that life is being hard right now on me, but you know we all will survive. ha. I'm so glad you didn't die! That's really scary. Close call for sure. A coffee date with you sounds so lovely! Wow - love this post! So personable. :) I would order a peppermint mocha (I love coffee!) and ask you all about your job because I studied journalism in college and wanted to be an editor. Then I would ask you for tips because I'm looking at a job change and could really use some pointers! Then I'd ask if you could PLEASE give me some gift ideas for my 20-year-old little brother who is "fratty" and loves animals, because I got zilch!! I'd order a skinny vanilla latte. I could have a coffee date everyday and never tire of it with you. Glad you live as close as you do! Oh my gosh! I think about that dinner ALL THE TIME. No joke. That was pretty much the best meal of my life! haha :) Thanks for sharing. I think we should have a coffee date sometime.... if we're ever in the same state again! I'm sorry it's been rough with autism. I'm glad you have some good days too, though. And yes, I think 2014 will be THE year. Crossing my fingers! I really want to meet you for coffee/chai tea! (I'd order a vanilla latte because I'm a gateway coffee drinker.) This sounds ideal. What a fun idea for an update post. Your writing - I love it! So glad the new job is going well. The Help was a really good book. The tree looks so cute and totally okay that it leans to the left! I wrote a similar "coffee talk" post last week :) great minds! There are so many drink options at coffee shops these days that you don't even have to like coffee to hang out at one... the chai is a great choice! You don't like coffee?! Say it ain't so! ;) I really like the way you wrote this post. I'm glad you love your new job. That's just awesome. I also would much rather give a gift than receive. And I love your little tree...it's so cute! 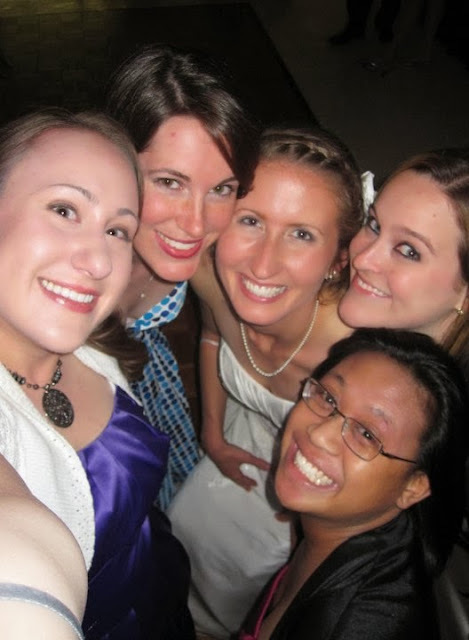 Long distant friendships are hard...two of my sisters live half way across the country. Keeping up a relationship via phone is just not the same. I am a coffee drinker, but I also love chai tea lattes. Just depends on the mood! I love this post, and all the things you would talk about. We have a tiny tree as well, love it! I love the help! And congrats on loving your job :) that is definitely a big deal.